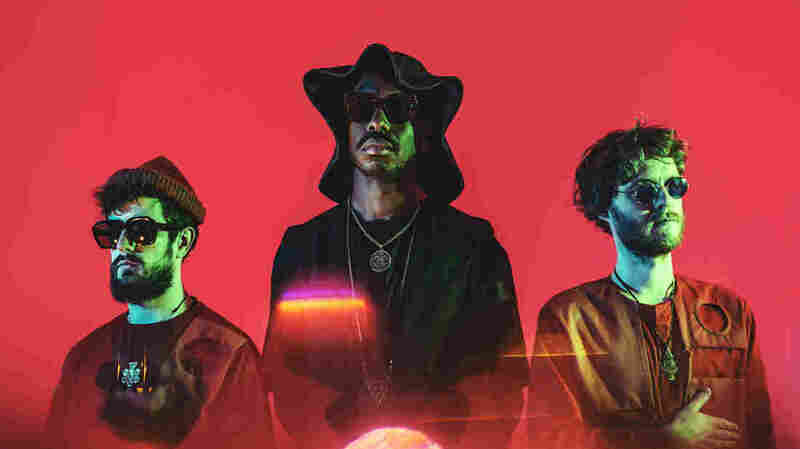 Place Your 'Trust In The Lifeforce Of The Deep Mystery' With The Comet Is Coming The London trio, led by Shabaka Hutchings on reeds, liberates itself from received jazz wisdom, let alone any form of decorum. The Comet Is Coming's Trust in the Lifeforce of the Deep Mystery comes out March 15 via Impulse! In some early press materials for the new release by The Comet Is Coming, the album is said to "envisage a 21st-century take on spiritual jazz that is part Alice Coltrane, part Blade Runner." That unlikely mashup of influences should begin to make sense within the first 30 seconds of the album's opening track, with its ominous yet strangely meditative synth-and-sax drone. The title of the album is Trust in the Lifeforce of the Deep Mystery, which suggests that our basket of cultural allusions might also accommodate a cheeky artifact like This Is Spinal Tap. Not that outright comedy is on the agenda for The Comet Is Coming, a London confab with Shabaka Hutchings on reeds, Dan Leavers on keyboards and Max Hallett on drums. But these shrewdly rambunctious musicians — billed respectively as King Shabaka, Danalogue and Betamax — have a way of implying mischief, in a meta sense, even when they're playing it totally straight. Trust in the Lifeforce is the group's first album on Impulse! Records, which was once a home to Alice Coltrane's astral meditations, and which recently brought Hutchings into the fold. (Last year, the label released an exuberant manifesto by one of his other main bands, Sons of Kemet.) An unequivocal push forward, the album picks up where The Comet Is Coming left off in 2017, when it released an EP bearing the cheerful title Death to the Planet. King Shabaka remains the frontman here, for lack of a better word: Note how his bass clarinet sets the terms for "Birth of Creation," articulating both a framework and a melodic spine. But the creative bond between Danalogue and Betamax, which predates this band, should be understood as the heart of the matter. Consider the sheer range of timbres and textures emanating from Danalogue's synthesizers — no less in a retro-arcade idyll like "Unity" than in an electroclash flare-up like "Summon the Fire" — and you instinctively grasp the trio's liberation from received jazz wisdom, let alone any form of decorum. One especially captivating track, "Blood of the Past," features a guest vocal by Kate Tempest, a brilliant poet and the youngest-ever winner of the Ted Hughes Award. Serving here in her capacity as a rapper and spoken-word artist, Tempest unshoulders the weight of history, while excoriating the inanities of contemporary society. "There is nothing but progress to eat," she laments. The prognosis, on the whole, is not good. But the message of The Comet Is Coming is affirmative — despite what seems to be a welcoming embrace of annihilation, the sooner the better. "Because the End Is Really the Beginning" is the title of that cinematic opening track, and it's not crazy to assume that we should take the phrase as an instruction. 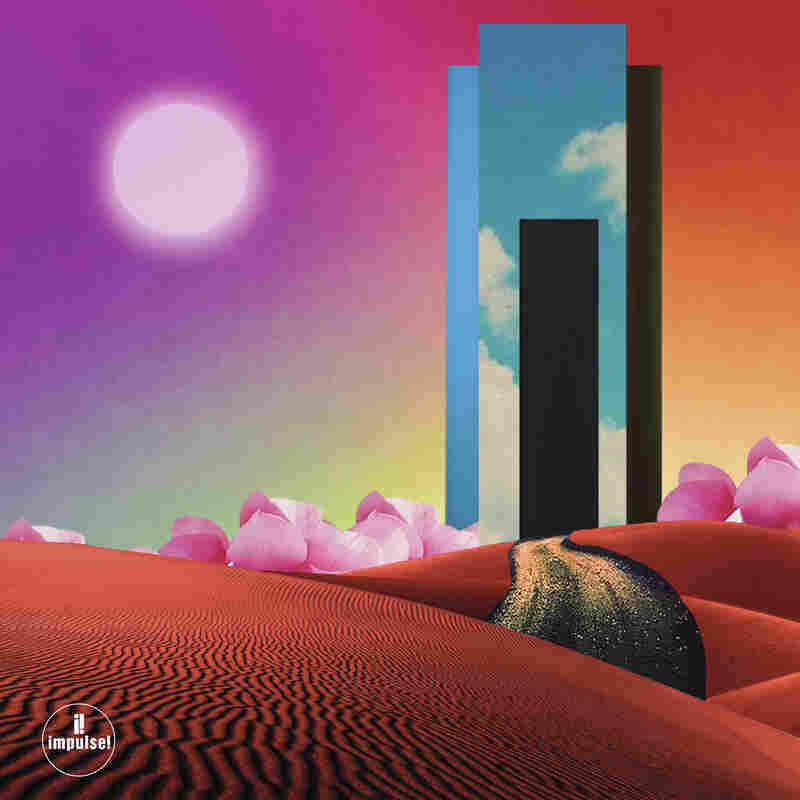 To that end (er, beginning): The album's final track, "The Universe Wakes Up," features Hutchings on tenor saxophone, in rustling free tempo, over what sounds like a cathedral pipe organ. This is the way the world ends: not with a bang, but a warble.